Here’s this month’s Might Could Science comic! Today’s comic is inspired by and all about: bee brains! 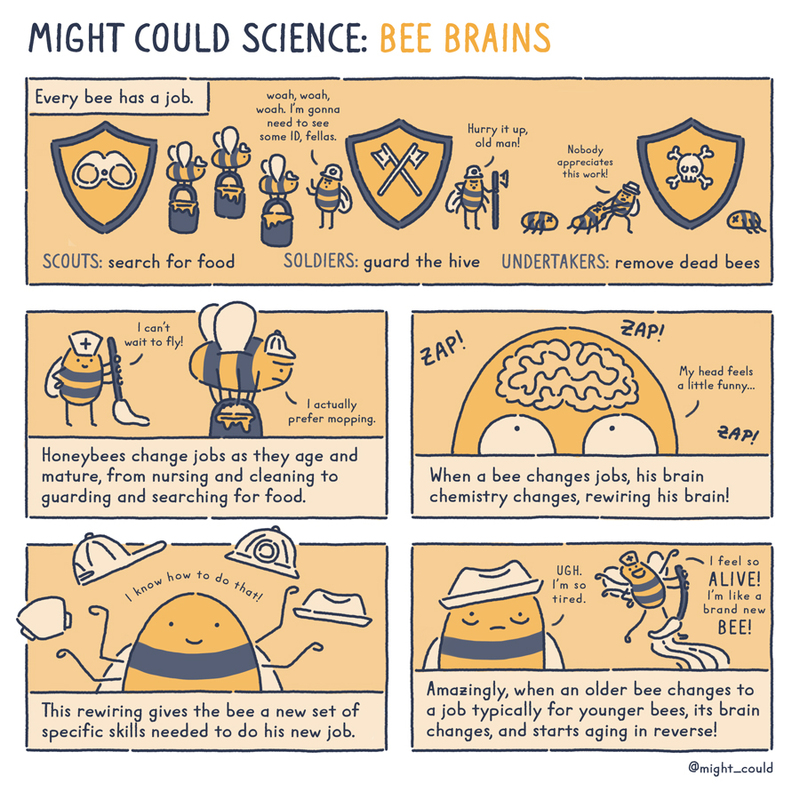 Bees are fascinating little creatures, and brains are fascinating things, and bee brains is fun to say! So there ya go. You can follow this comic series here on my blog, as well as on Twitter and Instagram with the hashtag, #MightCouldScience. I’ll be posting the full process from sketching on my iPad to final touches on my computer here on the blog and on Youtube tomorrow!